My heart is steadfast, O God, my heart is steadfast; I will sing and make melody. Awake, my soul! Awake, O harp and lyre! I will awake the dawn. 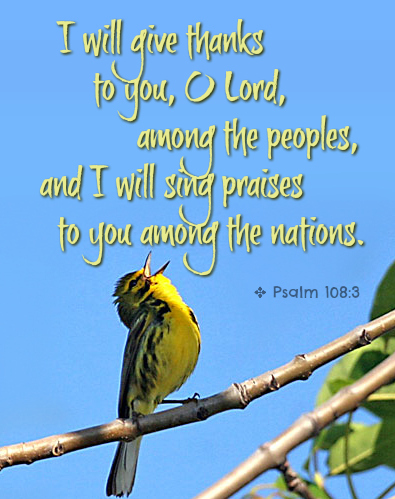 I will give thanks to you, O Lord, among the peoples, and I will sing praises to you among the nations.